Scotland's hopes of Nations League promotion were dented after Kieran Tierney's own goal helped Israel come from behind to win 2-1 in Haifa. Charlie Mulgrew's penalty after 25 minutes gave Alex McLeish's side the lead, but Dor Peretz made amends for his foul on Steven Naismith to haul the hosts level (52). John Souttar was dismissed for a second bookable offence after dragging down striker Moanes Dabour, and Israel completed the turnaround when Beram Kayal's cross was inadvertently shinned into his own net by Tierney (75). The result - Scotland's first defeat in a competitive match since November 2016 - means all nations in Group C1 are locked on three points, with Scotland's superior goal difference meaning they remain top ahead of facing Albania in Shkoder next month. Israel: Jans (6), Tibi (7), Yeini (7), Ben Harush (6), Dasa (7), Tawatha (7), Kayal (8), Natkho (7), Peretz (7), Dabour (7), Sahar (6). 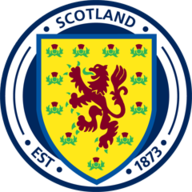 Scotland: A McGregor (8), Souttar (5), Mulgrew (6), Tierney (6), O'Donnell (5), C McGregor (7), McDonald (6), McGinn (5), Robertson (6), Russell (6), Naismith (6). Subs: McKenna (6), Forrest (6), McBurnie (n/a). This was Israel's first victory since beating Liechtenstein two years ago and their first under Andi Herzog, and the scoreline flattered Scotland. Allan McGregor produced numerous saves but the visitors were handed a gift to break the deadlock. Naismith didn't appear to be going anywhere when he was barged blatantly in the back by Peretz, allowing the Blackburn defender Mulgrew to score his first international goal in four and a half years. But Israel made a mockery of their lowly FIFA world ranking of 94th and grew in confidence after Mulgrew was substituted at half-time with a suspected hamstring injury. McGregor had already seen his left post struck by Ben Sahar's shot either side of Dabour coming close on two occasions, but it took just seven minutes of the second period for Israel to respond. Talb Tawatha cut inside from the left and threaded a pass through to Peretz who held off Andy Robertson to dig out his shot and find McGregor's bottom corner. McLeish opted to stick with the same starting XI which beat Albania last month meaning Steven Naismith partnered Johnny Russell up front. James Forrest had to make do with a place on the bench. Israel head coach Andi Herzog played former Chelsea striker Ben Sahar alongside Salzburg danger man Moanes Dabour while Brighton midfielder Beram Kayal was also handed a start. Things got worse for Scotland when Souttar, already on a booking for a foul on Israel captain Bibras Natkho, was caught in possession by Dabour, and the Hearts defender took drastic action in pulling his opponent back to receive a second yellow card from Polish referee Daniel Stefanski. Tawatha missed a glorious chance to score when his close-range shot from Eli Dasa's cross thundered against the crossbar after 65 minutes, but Scotland to hold on. Kayal's influence grew and the Brighton midfielder's cross was cruelly diverted past McGregor by Tierney to leave McLeish with plenty to ponder. Scotland have lost three consecutive away games in all competitions for the first time since October 2012. Israel recorded their first victory over Scotland, having lost each of the previous three. This was Scotland's first defeat in a competitive fixture since losing 3-0 against England in November 2016. Four of Scotland's seven shots in this match were attempted by Callum McGregor (57%). Charlie Mulgrew's penalty opener was his third goal overall for Scotland, and first since May 2014 in a friendly against Nigeria. Were it not for the veteran Rangers goalkeeper, the 1,500 travelling fans who headed to Haifa would have been reflecting on a heavy away defeat. Israel amounted 25 shots on his goal as Scotland should have been embarrassed by a more lopsided scoreline. McGregor was the only Scotland player to not drop his standards as the 36-year-old produced a brilliant reaction save from Peretz's header in the first half before denying Natkho and Kayal with confident punches. With Scotland down to 10 men, the bombardment on his goal continued with substitute Dia Seba kept out by another fine stop. 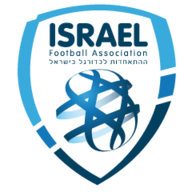 Israel will look to move top of the group when they host Albania on Sunday before they head to Scotland on November 20. Scotland host Portugal in an international friendly on Sunday at Hampden and they travel to face Albania next month in their penultimate Nations League clash.